Pepsi Pennsauken is easing distribution flow by outfitting its sales representatives with handheld computers that instantly send data back to the distribution centers over a wireless network. Sales and delivery capacity have increased at lower costs than before. A bottleneck at one of Pepsi's biggest bottlers was choking distribution and costing thousands of dollars in overtime pay and lost sales. Pepsi Pennsauken, which serves the Philadelphia and southern New Jersey region, was servicing a booming cola market with an aging, outmoded infrastructure--a common dilemma across the soft drink industry. For the nation's number-two cola brand, though, it was a hard problem to swallow. The difficulty was, sales reps couldn't get their orders from the field back to the loading docks quickly enough. Workers in the distribution centers would spend their afternoons sitting on their signals. The backlog of weekday orders stacked up so that they ended up delivering 30,000 to 40,000 cases on Saturday--and paying time-and-a-half plus commission to do it. Then the orders would start backing up on Monday, and would go through the whole vicious cycle again. The scenario was leaving a bad taste in the mouths of Pepsi Pennsauken's customers, too. The solution appeared in 1994, when Pepsi Pennsauken outfitted its sales reps with handheld computers that instantly send data back to the distribution centers over a wireless network. Reps no longer had to waste precious selling time listening to busy signals, and workers in the distribution centers received orders as soon as they were taken. When drivers made it back to the loading dock, their orders were waiting for them, instead of them for their orders. 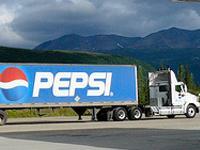 Pepsi had a fifteen percent improvement in labor efficiency in the first months the program was in operation. Wireless was perfectly suited to the demands of the soft-drink industry. Generally, bottlers sell soft drinks to retailers in one of two ways: on a route sales basis, where drivers take orders and pull cases right off the truck; or pre sell, where reps take orders in advance for later delivery. With the explosive growth of the ultra competitive soft-drink business--fueled by the introduction of New Age teas, juices, and waters—pre selling for next-day delivery was critical to bottlers' strategic planning. Beginning in May 1994, each of the company's 15 route-sales drivers were given wireless equipped handheld computers. Reps now carry the devices with them as they check inventory at each of the client retail outlets. Soft-drink orders are punched directly into the device as reps stand in front of the counters and tally the inventory. 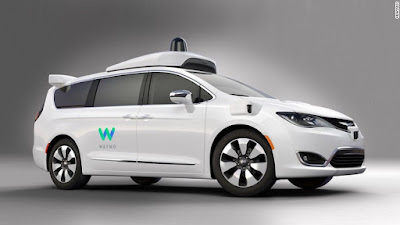 The order is then immediately sent over wireless network to large antennas that forward the order via a landline connection back to the distribution center. The real-time element of wireless data transfer meant that the warehouse could receive an order almost as soon as the rep could write it. A rep could transmit the order from a radio modem in his car without jammed phone lines forcing him to transmit all the orders at the end of the day. It used to be that one salesperson handled three stores; now one salesperson covers four or five. It helped in increased sales and delivery capacity, and at lower costs than before.